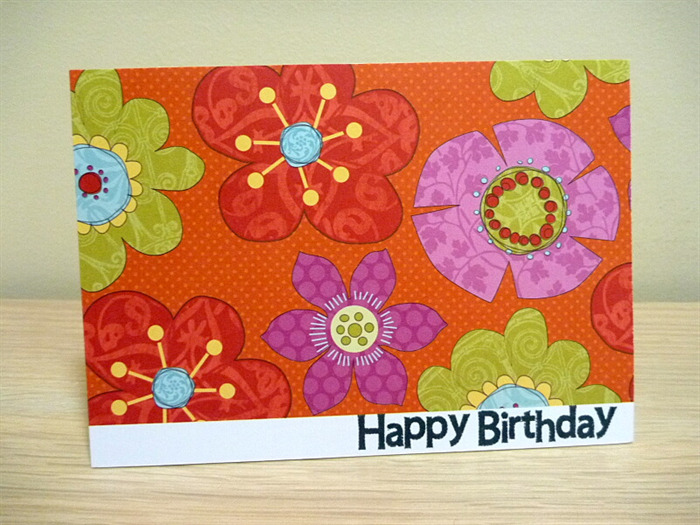 Lovely card to say Happy Birthday! 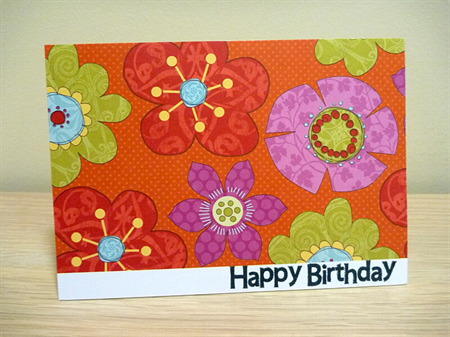 Features quality card and bright and happy floral printed paper. Each card measures approx. 14.5cm x 10.5cm and comes with envelope and sealed in cello bag. All hand cut and created – thanks for looking!